Fishing around Sooke has been hot and cold for salmon this week. After an excellent start to the week, with Trap Shack on fire, things seem to have calmed down a bit. There are still regular reports of nice 15-20 pound salmon being caught, but there are also reports of some slower days. 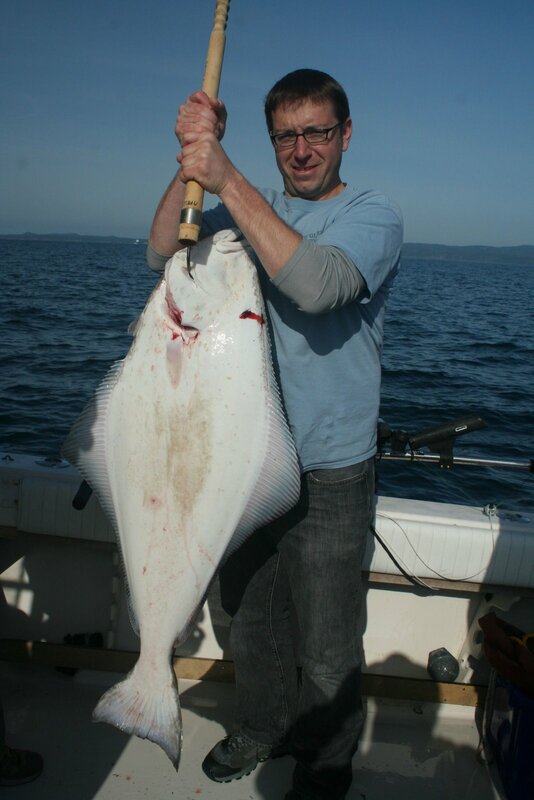 On the other hand, halibut fishing from Victoria to west of Sooke continues to be excellent, with plentiful halibut and some big ones thrown into the mix. Trevor from No Bananas Fishing Charters had a good few days fishing in Victoria and Port Renfrew. 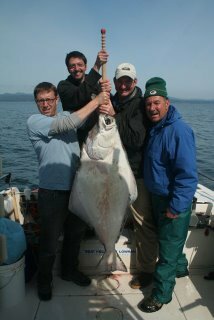 First they caught a bunch of halibut off Victoria, with 4 the first morning up to 90lbs and a limit the next day with halibut up to 60 lbs. The next day, off to Port Renfrew, where they limited on Spring Salmon up to 25 pounds. Good times! 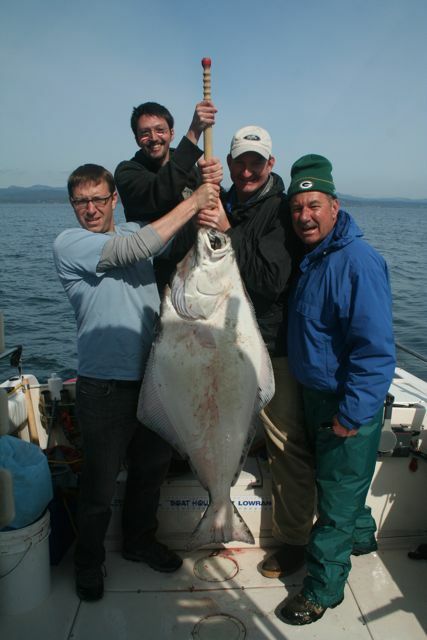 It looks to be a good season ahead for salmon fishing on Vancouver Island's south-west coast.